Are you ready to experience the new Cristiano Ronaldo football boot in a way you have never experienced before? Our Flagship Store has been fixed up with a new initiative Zone that gives you an up-close look at the CR7 Chapter 5: Cut to Brilliance boot. 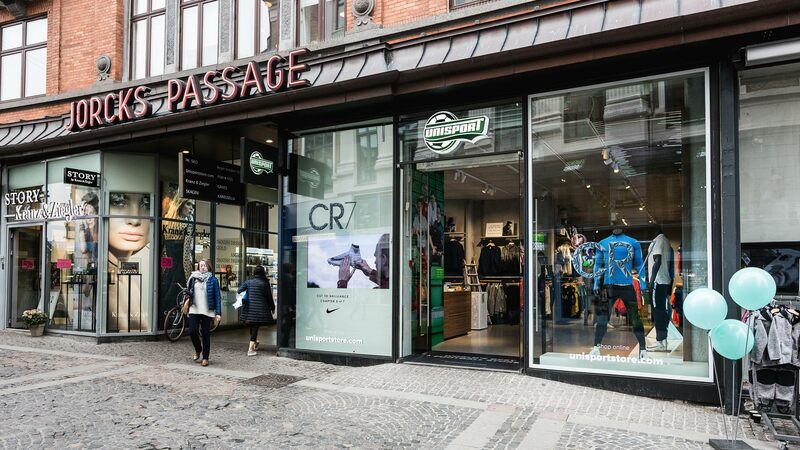 Our Flagship Store is located in the heart of Copehagen and is home to football and football boots in an entirely new way. We update it all the time to keep up with the latest launches in the world of football and especially our Initiative Zone is no stranger to compelling and very major facelifts. The latest to receive this treatment is the Nike Mercurial Superfly V CR7 Chapter 5: Cut to Brilliance football boots, which you can now experience at our premium location on Strøget in Copenhagen. It doesn’t matter if you want to get a better understanding of how the boot feels on indoor courts, wet grass or artificial ground, because the possibilities are near endless and we are certain our employees and help give you expert advice on each model. So if you are ever in Copenhagen, don’t miss out on visiting our store! You can also experience the Nike Mercurial Superfly V CR7 Chapter 5: Cut to Brilliance online right here.